Set of twelve Art Deco knife rests. By "Gallia", an avant garde line of Christofle. 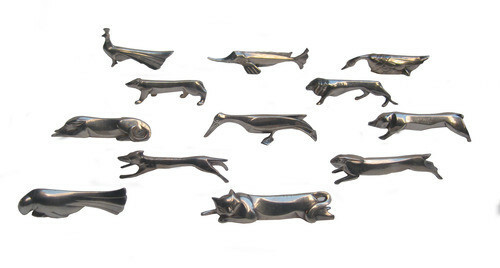 Different animals sculpted in silvered bronze.